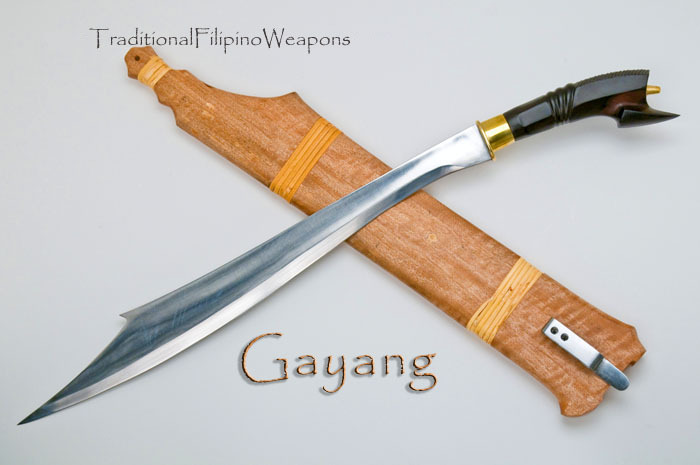 The Gayang is another light, quick, and devastating traditional Filipino weapon, recently added to our combat blade arsenal. 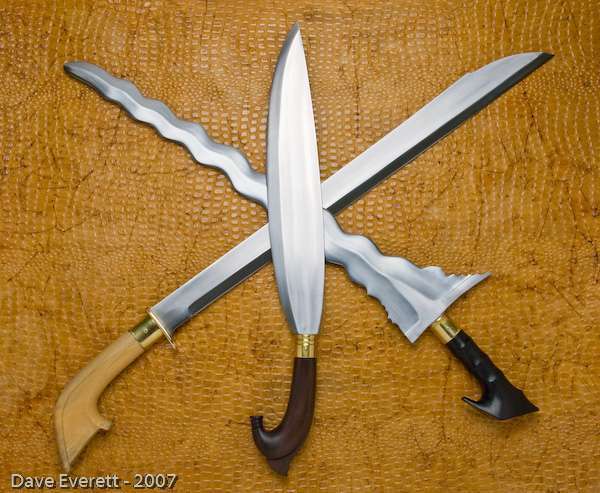 Eighteen inches of deadly steel with beautifully carved exotic hardwood handle in an ornate scabbard with locking spring lock retainer. 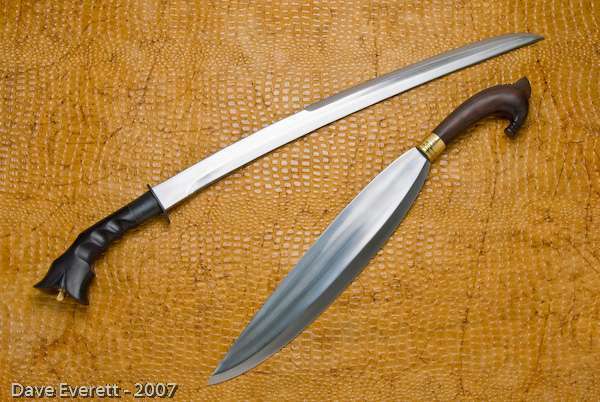 Our new, lighter, harder steel is used in this weapon, making it razor sharp and amazingly quick!